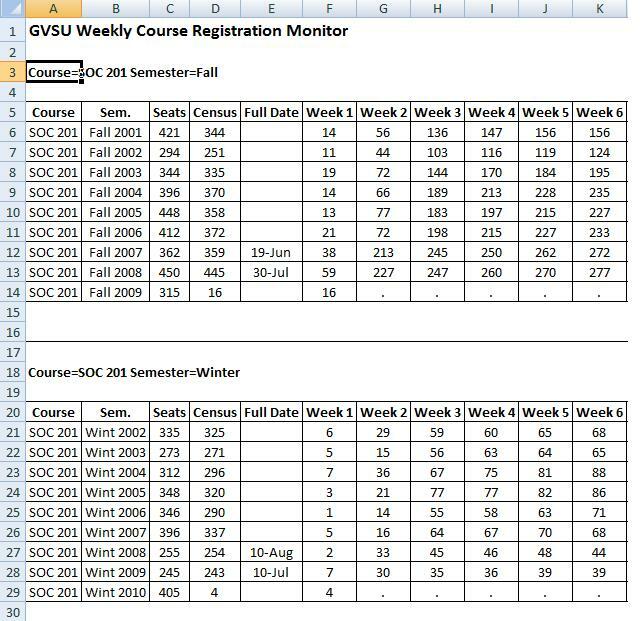 This online tool generates a report of weekly course enrollments, to be used as an aid in planning and monitoring schedules for upcoming terms. Weekly data are captured as of 11:59 PM Sunday. Output should open in MSExcel or your Browser's MSExcel plug-in, and look similar to the following screenshot.